nerdy views: Conan O'Brien Plays Super Smash Bros. 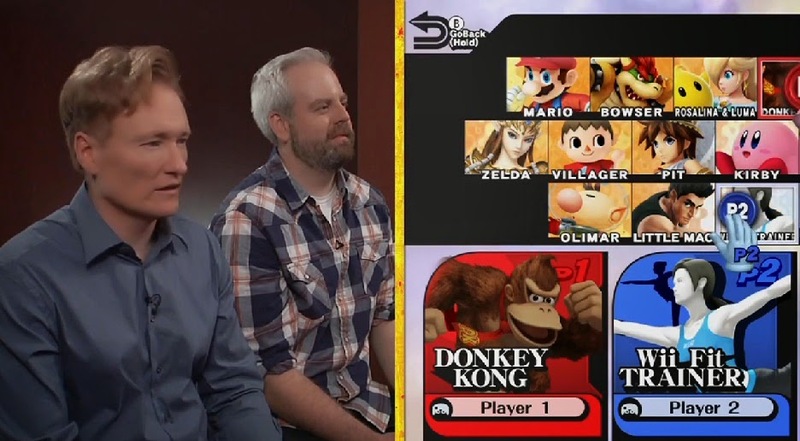 In the latest installment of Clueless Gamer, Conan O'Brien got to play Super Smash Bros. which doesn't even come out until later this year. And he pretty much treats the game the same way I do, with button mashing and a lot of screaming. ;) The game features a ton of characters from Nintendo's most popular franchises. They even have the trainer from Wii Fit!